Here's Gill-Man, applying lotion to those hard-to-reach areas! Figure of The Creature and his swim-suited human crush. 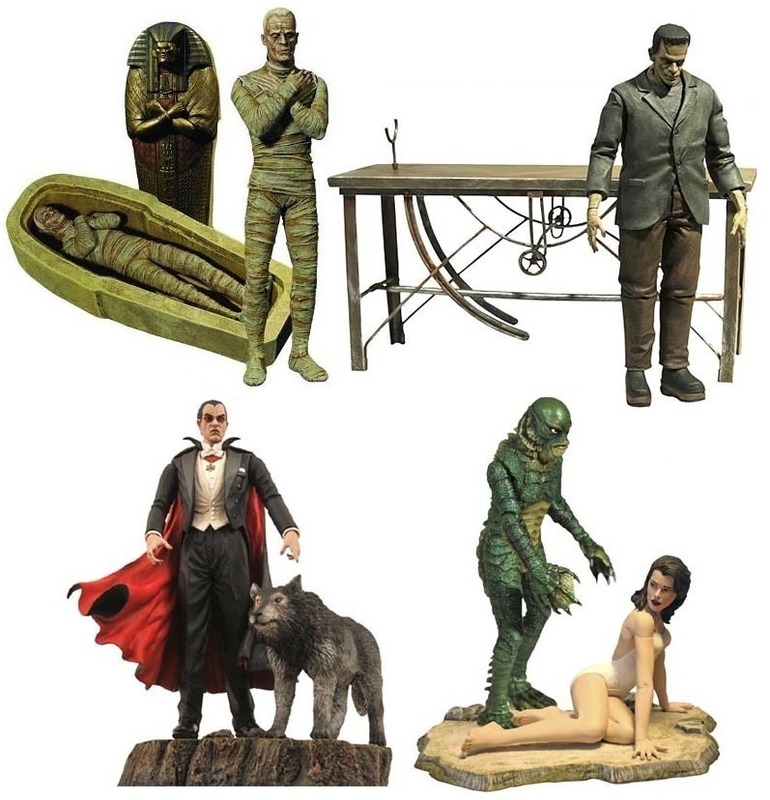 Give the last of the great Universal Monsters a home! Sculpted by Rudy Garcia with a base by Jean St. Jean. Universal Monsters Select debuts with the renowned last of the great Universal Monsters, The Creature from the Black Lagoon. Sculpted by Rudy Garcia with a base by Jean St. Jean, this 7-inch scale depiction of the infamous Gill-Man shows the legend in perhaps its most screen-accurate detail ever! 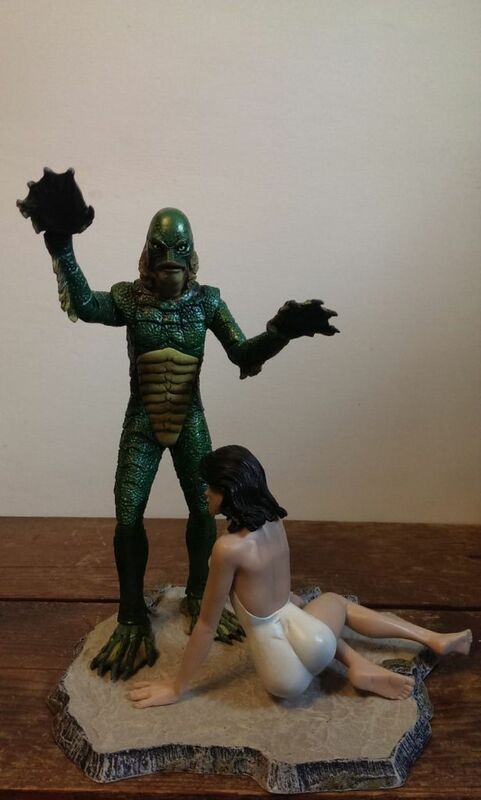 Perfect for display, the Select version includes an exclusive paint scheme, as well as a detailed base featuring a full figure of The Creature's swim-suited human crush!